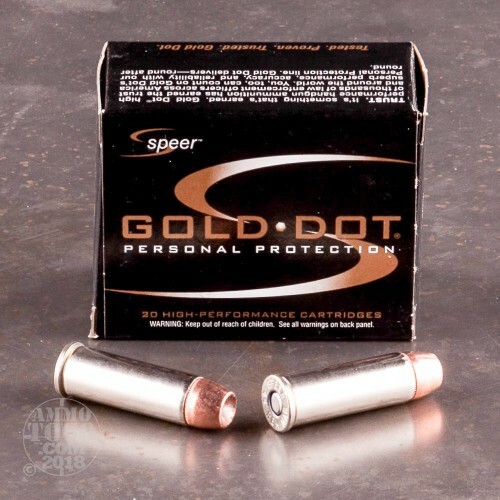 This 44 Magnum cartridge from Speer features the Gold Dot projectile. The bullet’s hollow point cavity is formed over the course of two distinct stages: the first to determine width of expansion, and the second to control rate. 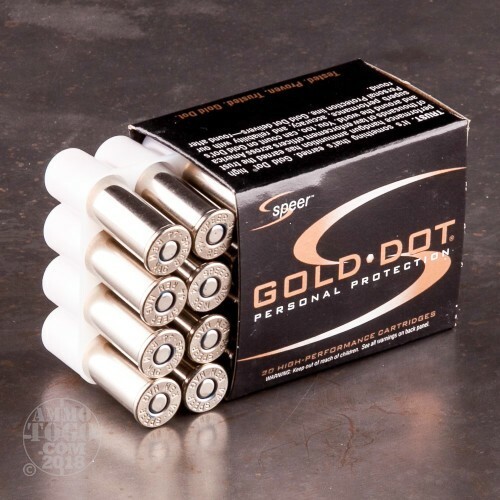 The Gold Dot’s alloyed lead core and jacket are pretty much inseparable, because the latter was electrochemically applied one molecule at a time. 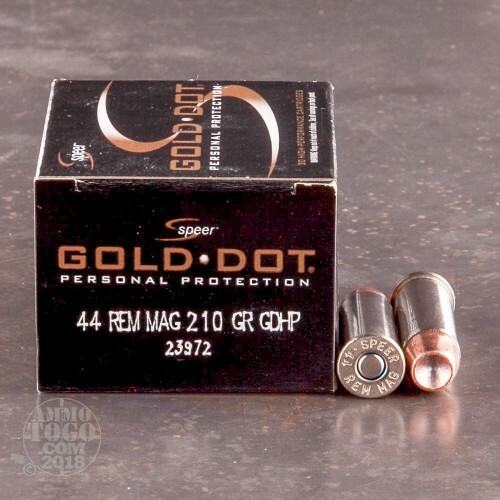 Therefore this round’s is a bullet that not only predictably expands, but holds on to the majority of its weight as it does so in order to guarantee a wide, deep, and all together thoroughly lethal wound channel in any soft target unfortunate to be on the receiving end of one. Speer left nothing to chance with this round’s components. 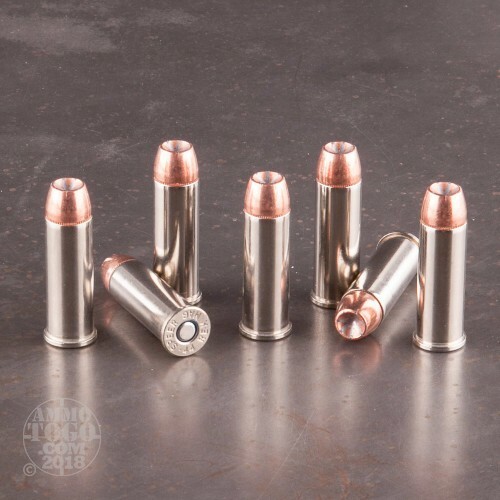 Its casing is nickel plated to protect it from corrosion and prevent it from jamming, and its CCI primer reliably ignites its clean burning propellant to create an ideal chamber pressure and muzzle velocity for self-defense.